You know what? I was excited to read this. That hasn't happened in a little while. It had something about it. 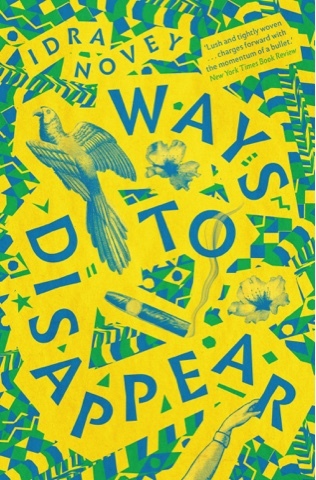 The cover–lovely; the hook (a celebrated Brazilian writer climbs into a tree and disappears)–intriguing; the publisher–with a penchant for travel writing, this could only be particularly evocative of Brazil, a country of interest. I was excited. I don't recall who it was recommended it, and it might very well be the Amazon algorithm, but since I earmarked it to be bought and read I was grinning with anticipation. And now I'm grimacing with consternation. First, a spirited defence of the book. It is fascinating, and although it teases with a magical realism plot synopsis it manages to steer clear of anything mystical, for the most part, and instead is deeply rooted in a convincingly tactile portrayal of Brazil–hot, unforgiving, corrupt, and completely seductive. Emma, the translator of 'her' author, the mysterious and absent Beatriz, is believable and complex enough, and Beatriz's adult children, Raquel and Marcus, add flavour, provide crisis and drama, and everyone is pleasingly flawed. Novey writes with no small craft and her experience as a translator of fiction is evident in the small ways a person might adapt to life as an interpreter of other people's words. 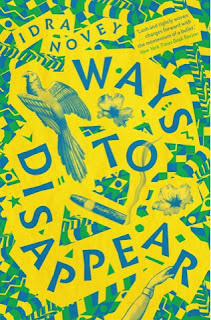 Where it lost me, and this is in no way a criticism of the book or its author, is that I found I couldn't find my pace. I naturally fall into some sort of rhythm when I read, pausing where it feels natural, allowing myself time for words to sink in (if I'm not in the heat of an addictive gluttony for words–then I simply devour them without thinking). When reading this, however, with its short chapters, changes of narrative media, deliberately omitted speech marks, I found the sentences and paragraphs crashing into the next, and not in a compulsively readable, page-turning way either. I couldn't find a way to settle, I couldn't stop the words smashing into each other, obliterating themselves. I couldn't reflect. I tried to go back to find a salient quote for the picture caption and I couldn't remember one. It was unsettling, but I suspect not in the way it was intended. For all its laudable and enjoyable verve, vim and vivaciousness, I felt that this is a novel written for someone entirely different than me, someone whose humour, opaque and odd, I would never appreciate even if I understood it. This is no bad thing as it made me stop and question whether this meant it was a poor book, or if I was a poor reader. I don't think the answer to either of those questions is yes. The book is good; clever, interesting and poignant in places, although I kind-of wish the author never came down from the tree, and I think I got most of what was going on. I'm on a different wave-length, is all.